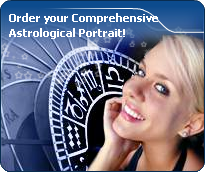 You will find below the horoscope of Julie Christie with her interactive chart, an excerpt of her astrological portrait and her planetary dominants. Horoscopes having the same aspect Sun conjunction Midheaven (orb 0°13'): José Bové, Julie Gayet, Nostradamus, Nicole Garcia, Pablo Escobar, Liz Greene, Kirsten Dunst, Marie Trintignant, Karunanidhi, Virginia Woolf, Patricia Arquette, Natacha Amal... Find all the celebrities having this aspect. Horoscopes having the same aspect Mercury trine Pluto (orb 1°04'): Brad Pitt, Renée Zellweger, Drew Barrymore, Enrique Iglesias, Serge Gainsbourg, Christy Turlington, Mark Wahlberg, Johann Sebastian Bach, Lenny Kravitz, Patrick Bruel, Lara Fabian, Tyler, The Creator... Find all the celebrities having this aspect. Celebrities born the same day: Leonardo da Vinci, Sarah Michelle Gellar, Veronica Zemanova, Adrien Brody, Robert Carlyle, Louisy Joseph, Loretta Lynn, Erich von Däniken, Richie Blackmore, Alexandre Jardin, Dorothy Boyd, François Duvalier... List of all the celebrities born on April 14. Celebrities clicked on in real-time: 577,040,951 times. Julie Frances Christie (born 14 April 1941 (birth time source: Astrodatabank, conflicting/unverified informations) is an Academy Award-winning English film actress. She was also a pop icon of the Swinging London era of the 1960s. Christie was born in Assam, India, then part of the British Empire, as one of two children. Her mother, Rosemary Ramsden, was a Welsh-born painter and childhood friend of actor Richard Burton. Her father, Frank St. John Christie, ran the tea plantation around which Christie grew up. She had a brother and a half-sibling from her father's affair with an Indian mistress. Christie's parents separated during her childhood. Here are some character traits from Julie Christie's birth chart. This description is far from being comprehensive but it can shed light on his/her personality, which is still interesting for professional astrologers or astrology lovers. In a matter of minutes, you can get at your email address your astrological portrait (approximately 32 pages), a much more comprehensive report than this portrait of Julie Christie. Julie Christie, the diurnal South-eastern quadrant, consisting of the 10th, 11th and 12th houses, prevails in your chart: assertion and goals achievement are at the centre of your concerns. You are very keen to implement your dreams and your plans. You achieve your ambitions as soon as possible, whether through an active social life, highly charged friendly relations, or an urge to take actions in order to reap - in the eyes of the world, of course - the rewards of your dynamism. It is likely that spirituality or humanitarian actions are part of your motivations, sometimes at the price of some degree of isolation. Julie Christie, Fire is dominant in your natal chart and endows you with intuition, energy, courage, self-confidence, and enthusiasm! You are inclined to be passionate, you assert your willpower, you move forward, and come hell or high water, you achieve your dreams and your goals. The relative weakness of this element is the difficulty to step back or a kind of boldness that may prompt you to do foolish things. The predominance of Water signs indicates high sensitivity and elevation through feelings, Julie Christie. Your heart and your emotions are your driving forces, and you can't do anything on Earth if you don't feel a strong affective charge (as a matter of fact, the word "feeling" is essential in your psychology). You need to love in order to understand, and to feel in order to take action, to the detriment of a certain vulnerability against which you should learn to fight. Julie Christie, the Cardinal mode is dominant here and indicates a predisposition to action, and more exactly, to impulsion and to undertake: you are very keen to implement the plans you have in mind, to get things going and to create them. This is the most important aspect that inspires enthusiasm and adrenalin in you, without which you can grow weary rapidly. You are individualistic (maybe too much?) and assertive. You let others strengthen and improve the constructions which you built with fervour. Your angular houses, namely, the 1st, 4th, 7th and 10th houses, are very emphasized in your chart, Julie Christie: according to the Tradition, they are the strongest and most dynamic houses. Should the rest of your chart concur, angular houses suggest that you are an enterprising, energetic and assertive woman. Indeed, angular houses are said to generate impulsions and to give a powerful and domineering personality. In your natal chart, the three most important signs - according to criteria mentioned above - are in decreasing order of strength Aries, Cancer and Scorpio. In general, these signs are important because your Ascendant or your Sun is located there. But this is not always the case: there may be a cluster of planets, or a planet may be near an angle other than the Midheaven or Ascendant. It may also be because two or three planets are considered to be very active because they form numerous aspects from these signs. The 10th, 5th and 1st houses are the most prominent ones in your birth chart. From the analysis of the most tenanted houses, the astrologer identifies your most significant fields or spheres of activity. They deal with what you are experiencing - or what you will be brought to experience one day - or they deal with your inner motivations. After this paragraph about dominant planets, of Julie Christie, here are the character traits that you must read more carefully than the previous texts since they are very specific: the texts about dominant planets only give background information about the personality and remain quite general: they emphasize or, on the contrary, mitigate different particularities or facets of a personality. A human being is a complex whole and only bodies of texts can attempt to successfully figure out all the finer points. Love at first sight, flash in the pan, amorous impulsiveness? All these are part of your way of loving or to fall in love, Julie Christie. Throughout your relationship, you maintain this kind of jerky and lively style, that may seem childish or naïve, but that is so generous and cheerful! You are undeniably possessive and you are not concerned with your partner's opinion but, fortunately, you readily forgive because of your spontaneity and your authenticity. When your relationship is intense, everything is fine. There is no romanticism, no complications with you. You love with ardour and, except for a few crazes and opportunities for new pastures here and there, the only danger may be that boredom settles in. In that case, you leave without regret and you quickly forget what consumed you, not so long ago. The ruler of the Ascendant, Julie Christie, is the Moon. It is posited in the sign of Scorpio and makes you appreciate mysteries and the unknown. You need to understand, to solve riddles, and to take action behind the scenes, perhaps so as to be even more efficient. Your criticising skill is a weapon, but it may also backfire on you, just like your sometimes excessive obstinacy. Julie Christie, the way you take action is quite paradoxical: you carry out your business perfectly well when you are in a teamwork with collective goals, but you do so in your original and individualistic manner: this is your main peculiarity. Your concern is to express your originality and your specificity while remaining immersed in a human community. You are curt and not very flexible. You are inventive and you easily fight authority, just because its very principle runs counter to the sacred values of freedom, independence and, above all, the absence of constraint. Competition does not appeal to you. You prefer to be useful and to conquer new territories of the humanitarian or the intellectual type. On the sexual plane, you are also often original and surprising regarding your fantasies and your tastes. This text is only an excerpt from of Julie Christie's portrait. We hope that it will arouse your curiosity, and that it will prompt you to deepen your knowledge of astrology, as well as to visit and use the wide range of free applications at www.astrotheme.com.